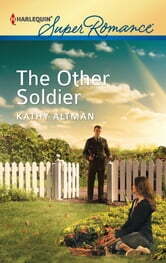 Corporal Reid Macfarland has one mission: to make amends for the mistake he lives with every day. That friendly-fire incident in Afghanistan that killed a fellow soldier haunts him. Maybe if he can help the widow, he'll find some peace. Amends are easier said than done. Just one meeting with the independent and engaging Parker Dean makes it clear that forgiveness is a little more complicated than money or "I'm sorry." If he really wants to help, Reid will need to stick around for a while. The more their daily lives intertwine, the more he realizes her forgiveness isn't the only thing he needs-he needs her.